Confirmatory testing and signature refinement across multiple cancer types. 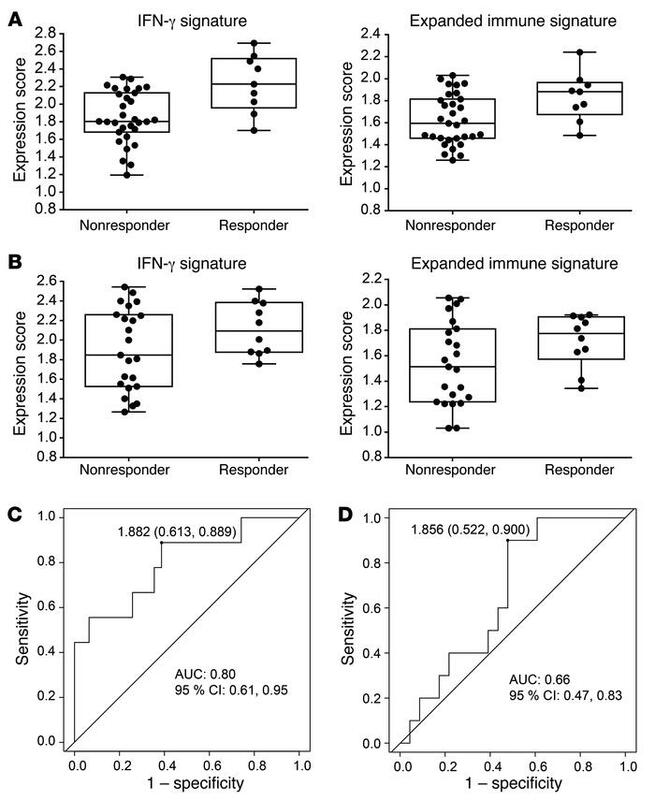 (A and B) Confirmatory analyses of the IFN-γ and expanded immune signature scores for the HNSCC (43 total patients) (A) and gastric cancer (33 patients) (B) cohorts of KEYNOTE-012. (C and D) ROC curves of sensitivity and specificity for the HNSCC (C) and gastric cancer (D) cohorts of KEYNOTE-012.